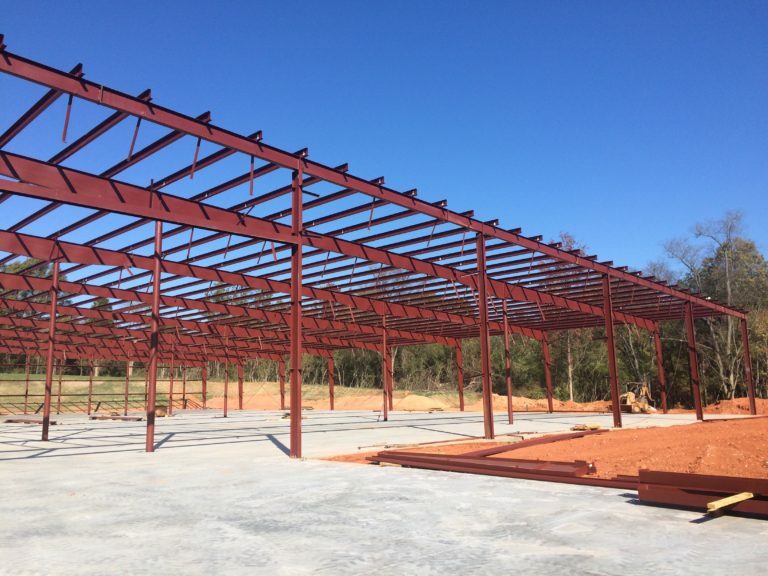 Construction of an 80,000 square foot Pre-Engineered Metal Building, with a 3,360 square foot connector to an existing building, is underway in Lancaster, SC. The addition is designated primarily for warehouse use, with some office. The connector will serve as a loading and shipping dock, in addition to an enclosed passage. The Pre-Engineered Metal Building was engineered and furnished by Nucor Building Systems.